“A funny thing happened while I was upstairs” I told my husband, who is out of town for the next two days. He proceeded to laugh as I told him that instead of cleaning the carpet I ripped it up and threw it away! Don’t worry I do this kind of thing often… he should have know not to leave town! All kidding aside this is my daughter Ruby’s room. 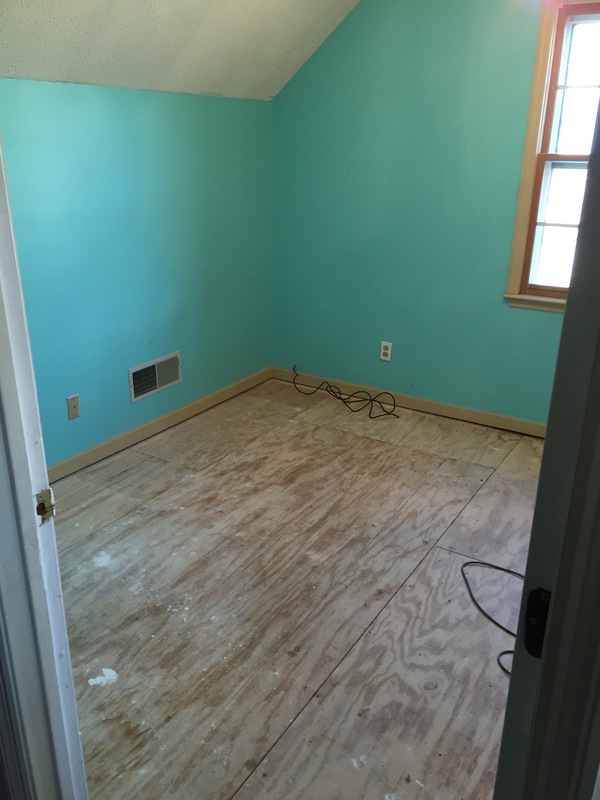 I have had plans to rip the carpet up and paint the subfloors for a while now. I was up there about to vacuum when that “I need a new project” feeling came over me…so this happened. Well only half of it happened…my ten year old daughter has soooo much stuff!